Recently, I became unafraid to make pie crust from scratch. It happened when Miss Priss I needed to bake a pie after she won a persuasive writing contest at school. We had to bring in the pie she described in her essay for a class pie tasting. I put off making the pie until the last minute– as in really late the night before it was due– and I was forced to make a homemade pie crust since I could not get to the grocery store at that late hour to buy a pre-made one. Turns out, they are not that hard to make, and you really do notice a difference. I’ve tried a few different recipes and prefer the crust recipes that use Crisco as opposed to butter (see links below). Miss Priss’ winning pie was a Chocolate Brownie Drizzle Pie from Paula Deen. Tonight we are having Strawberry Pie and last week (in honor of Pie Day) we ate this Sugar and Cream Pie that was heavenly. Cut 1 pint strawberries into bite sized pieces and line the bottom of the baked pie shell with the strawberry pieces. I quartered the strawberries and dropped them into the crust, but you could slice them and place the slices evenly around the shell to make the pie more decorative. In a saucepan, bring to a boil 6-8 whole strawberries with 3/4 c. water. Simmer for 3-4 minutes. Combine cornstarch and sugar and add to the berries. With a whisk, stir constantly until the mixture is clear and thickened. Pour thickened strawberry mixture through a sieve to remove any chunky pieces. Add lemon juice and lemon zest to the strawberry liquid. 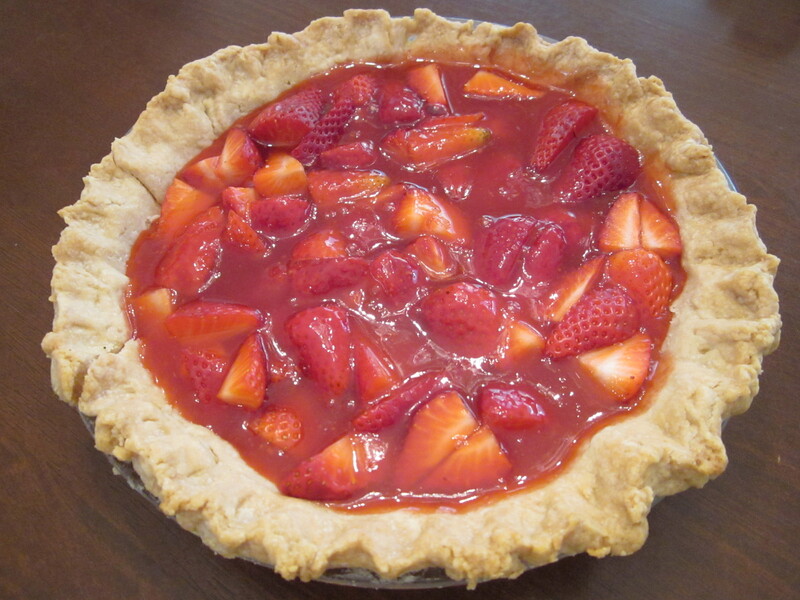 Pour liquid over the strawberries in the pie shell. Chill several hours. If you do not chill the strawberry pie long enough, the strawberry syrup will be runny and not hold together when you slice the pie. This does not affect the taste of the pie, but it looks pretty messy. The original Crisco pie crust recipe can be found HERE. I use milk in place of the water. 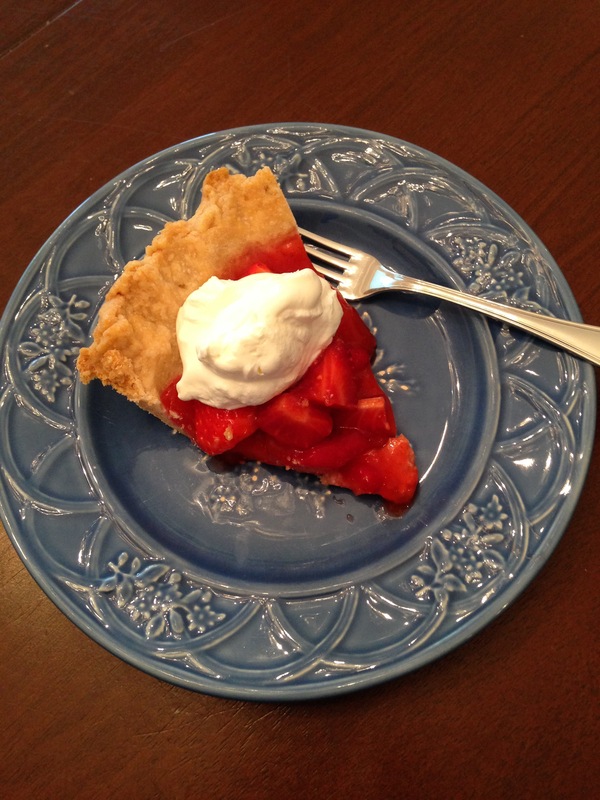 Pioneer Woman has a good Crisco pie crust recipe HERE. I never made a pie until well into my thirties. This is because my mother only made no-bake cookies–cooking and baking were learned on my own. 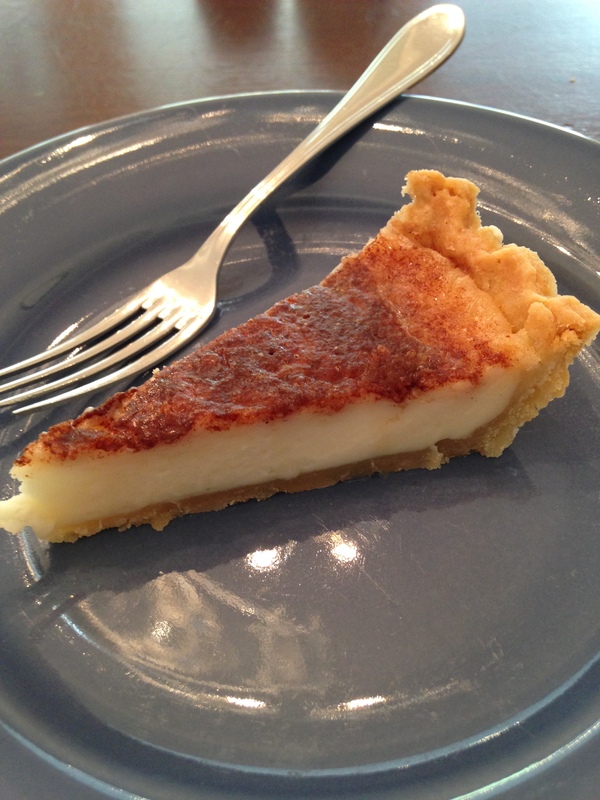 I received a pie crust recipe from a woman I worked with who regularly won fair contests. A really good Crisco pie crust does indeed make the difference. Here’s to having your pie and eating too. We were baker people at my house growing up, but pies really intimidated me. It was definitely just that crust hurdle! The crust is key to a fabulous pie. Whole wheat flour and gluten free flour don’t work out quite so well. All purpose flour is the best. 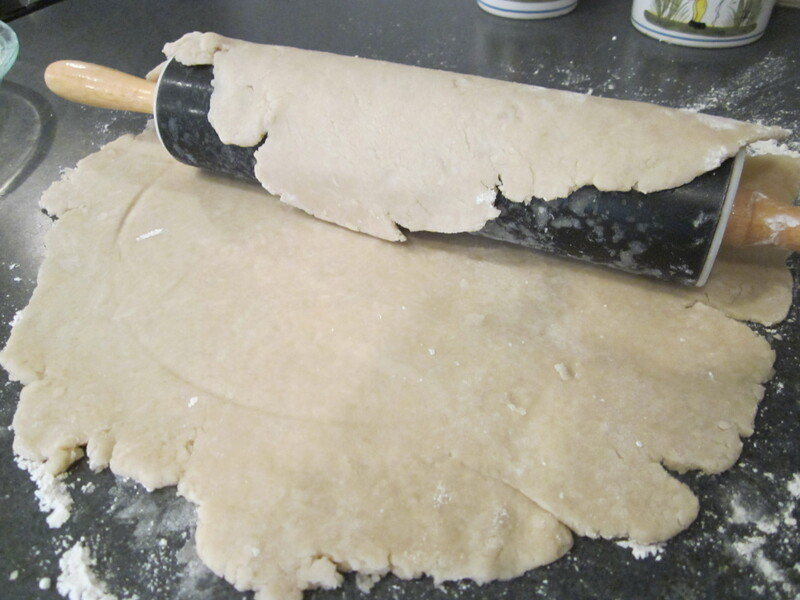 I use my Cuisinart to make my crust….and it’s soooo much faster….especially when you want to make more than one. You can use whatever recipe you want. Dump all the dry ingredients in the food processor. Pulse to mix. Add cold shortening. Pulse until little balls/beads form. Slowly add the liquid (I use ice water) and pulse until a large ball forms. Don’t overwork the dough – it gets tought. Remove from food processor. Squish into a big ball. Wrap in plastic wrap and refrigerate. p.s. My mom swears by Lard…and those crusts are really fabulous. I can’t bring myself to buy a tub of Crisco…so I always use cold butter.